Heba ran off with a three-length win in the KNN Cup, the second leg of the 2015 Queens Tour at Busan Racecourse this afternoon. However, that came after You Hyun Myung, on hot favourite New York Blue, was one of two riders unseated midway through the race. The incident came as the field began the long turn for home. Winner’s Marine, under Ikuyasu Kurakane shifted in slightly causing Heba to check and clip heels with New York Blue, resulting in jockey You going over the top. Lee Hyeok would also be unseated from Who’s Perfect. Lee was relatively unharmed, however, You was taken to hospital with leg and back injuries. Heba comfortably beat the rest of the field with Seoul visitor Hay Queen running second and Korean Oaks winner Jangpung Parang taking third. Winner’s Marine, who came home in fifth place was disqualified with jockey Kurakane receiving a four-day ban. A five-year-old mare, Heba was third in this year’s Busan Mayor’s Cup and today recorded her 8th career win from 34 lifetime starts. Watts Village, who became the first Korea-trained horse to win a race overseas, died late last month. The 5-year-old passed away of a neurological disease just days before the Asia Challenge Cup, a race in which he had been expected to run. Watts Village [Forestry – Edey’s Village (Silver Deputy)] was a $20,000 purchase from the 2012 Ocala Spring sale of two-year-olds in training and arrived in Korea in June of that year. He debuted in August of that year with a victory and would also win his next three starts, including the TJK Trophy in November. He wouldn’t win again until July 2013 and then went on to finish 2nd behind Tosen Archer in the Korea-Japan Goodwill Trophy in September. He then won a quick race over six-furlongs in October which encouraged connections to take their chance in the Interaction Cup at Ohi Racecourse in Tokyo on November 26. While most Korean hopes were pinned on Fly Top Queen, the most expensive horse ever imported to the country and at that time, still unbeaten, a Korean win seemed unlikely. However, under jockey Seo Seung Un, Watts Village was gunned out of the gate and into an early lead. He would not give it up. 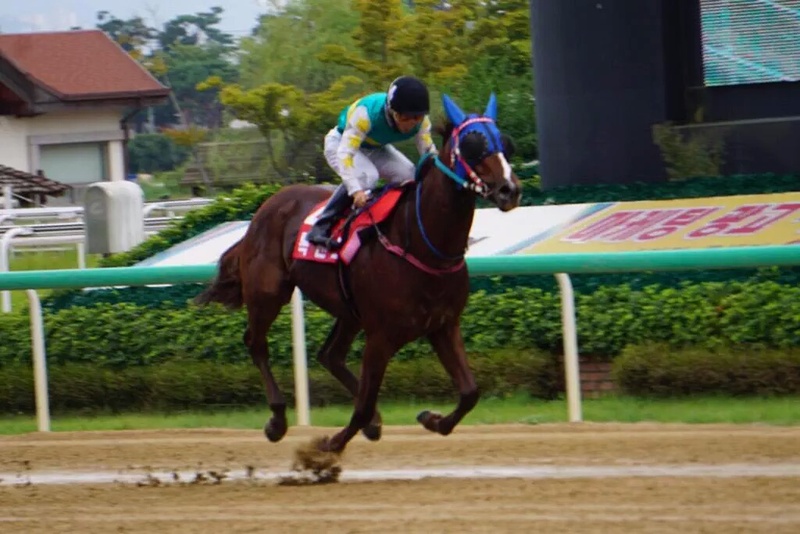 Although the field came back to him, he just managed to hold on, sparking raucous celebrations among the visiting Korean contingent and securing his place in Korean racing folklore. There was a feeling among some close to the horse that his exertions in Japan had taken a lot out of him and despite having been invited to race in Dubai the following spring, connections declined and kept him at home. Indeed, he only raced five times in 2014, with a solitary victory. Given another lengthy spell, he came back for a tilt at this year’s Asia Challenge Cup, which would be run over his favoured six furlongs. 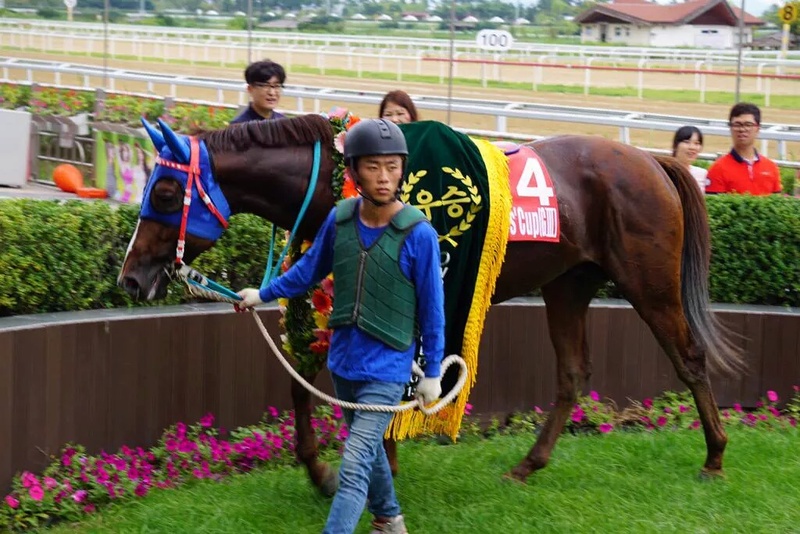 After an encouraging 2nd place on his re-appearance after six months off, he easily won the Munhwa Ilbo Cup in July, Seoul’s official trial for the Challenge Cup. Sadly that turned out to be his final race. Watts Village ran a total of 19 times with 8 wins, 5 seconds and 2 thirds. With just a couple of weekends to go before the short Chuseok break, the fields are big and its juveniles who take centre-stage in feature races at Seoul and Busan on Sunday. The two 1200M races are part of a beefed up program of races exclusive to two-year-olds in the build-up to the “Breeders’ Cup” at the end of November and are for those horses bought at this year’s domestic sales. Seoul’s race sees a debut for Golden Vascar, the first Korean based horse to be owned by Katsumi Yoshida. Over the past few years Korea has become, if not a major player, at least significantly involved in the world bloodstock industry. That has resulted in a number of reasonably well-known stallions, principally from the United States, finding themselves in Korea. So what happens to them here? The KRA began a domestic breeding industry in the 1990’s. Like most decisions here, it was done with realpolitik in mind. As a monopoly and a public company, the KRA is subject to the whims of the government of the day and as a result, needs to make itself as vital as possible to the nation. That doesn’t just mean betting revenue – a casino with its mindless games of chance can do that – it also means jobs and support for the rural economy, something that had been neglected in Korea’s rush to development in the late 20th century. The early breeding industry was haphazard. While the government was behind the idea, it simply gave subsidies for farmers to start breeding racehorses but offered no practical support as to actually how to breed racehorses. It was left to private farms such as Isidore to lead the way in bringing over foreign talent to oversee the breeding program. 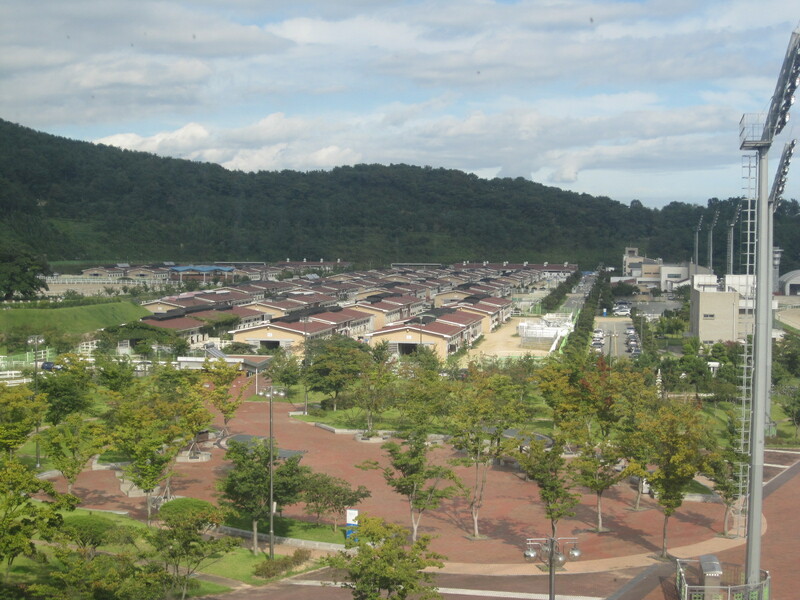 The KRA also set up its own Stud Farms, on Jeju Island and also at Jangsu on the mainland. At its peak, it stood about 30 stallions but has gradually been encouraging private farms to take over and now does not automatically replace pensioned or passed away stallions. It now only purchases marquee names; Hansen and Tiz Wonderful being recent examples. The KRA’s Jeju Stud Farm is nothing short of a five-star hotel for stallions. When not servicing mares, the select few are housed in spacious boxes or in their own private paddocks. On a recent Monday, only leading sire in Korea Menifee was in his box. Now 19-years-old, Menifee has been in Korea since 2006. That’s about as long as me but I have a feeling Menifee understands Korean better than I do. 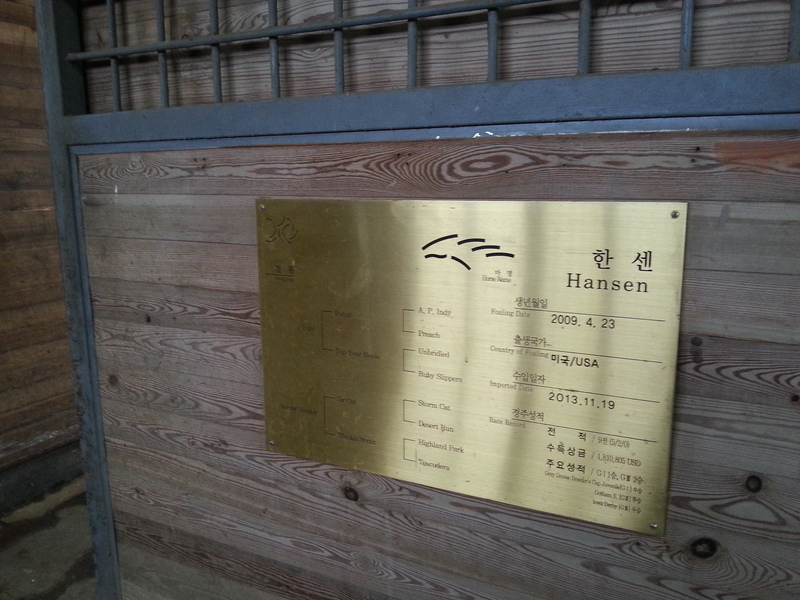 His handler (wearing a Hansen baseball cap) calls his name and in Korean, asks him to come out of his box and stand to attention – which he does. He is perfectly happy to trot up and down outside in the pouring rain while the French TV crew (who I have tagged along with as designated um….drinker) filmed him. The rest of the stallions are outside in their private paddocks where they spend most of their time. 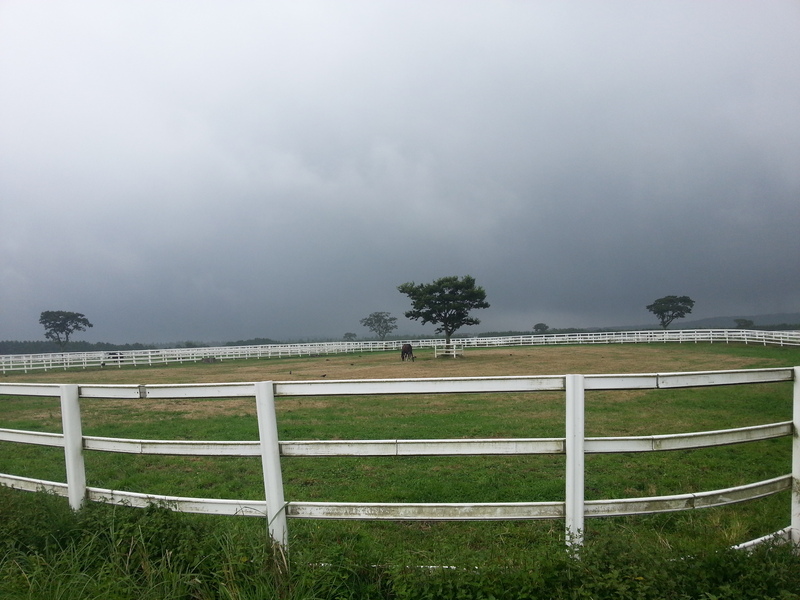 Walking out of the stables and into a typically idyllic Jeju scene, even three paddocks over, one horse stands out. Of course he is the easiest to recognize but he is also the only one who is standing right at the very edge of his paddock, waiting for visitors. He cranes his neck to see who might be approaching and jumps about to attract their attention. Hansen is a remarkably sociable stallion. The day has been stormy and Hansen has been rolling in the mud. He looks more like a bedraggled pony than a Gotham Stakes and Breeders’ Cup Juvenile winner but he puts his head through the railings to be petted. “Do you remember me?” the lady from Equidia asks, “I met you at Churchill Downs four years ago”. Tiz Wonderful and Forest Camp – the latter a notably shy stallion who has been kicked about by more than a few mares in his time – would not be distracted from their grazing but One Cool Cat was friendly while Hawk Wing seemed positively delighted to hear some English spoken to him. 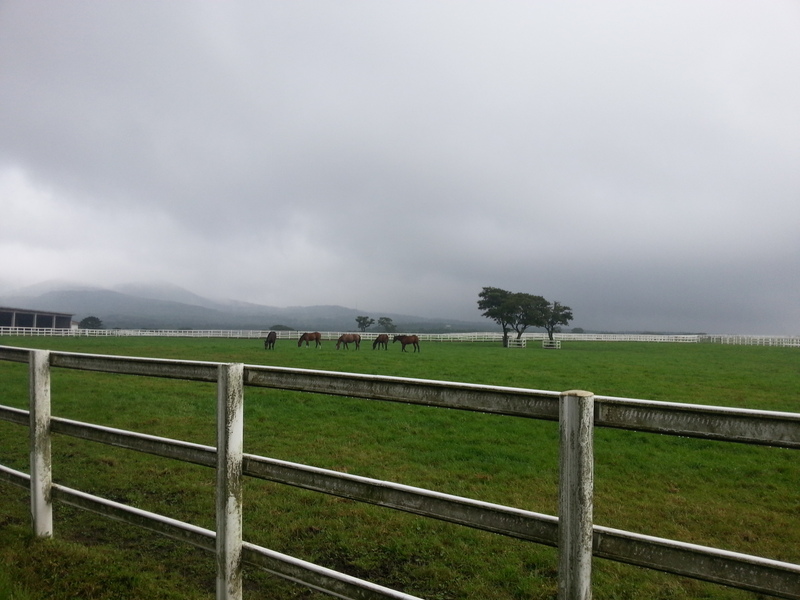 The KRA Jeju Stud Farm is the best known stallion station on Jeju but it is deliberately drawing down its influence. Ecton Park stands at Isidore Farm, a place which has over the years played a huge role in the development of agriculture in general as well as racing on Jeju. Colors Flying is at Taeyoung Farm while the likes of Whywhywhy, Simon Pure and new star Strike Again also stand privately. 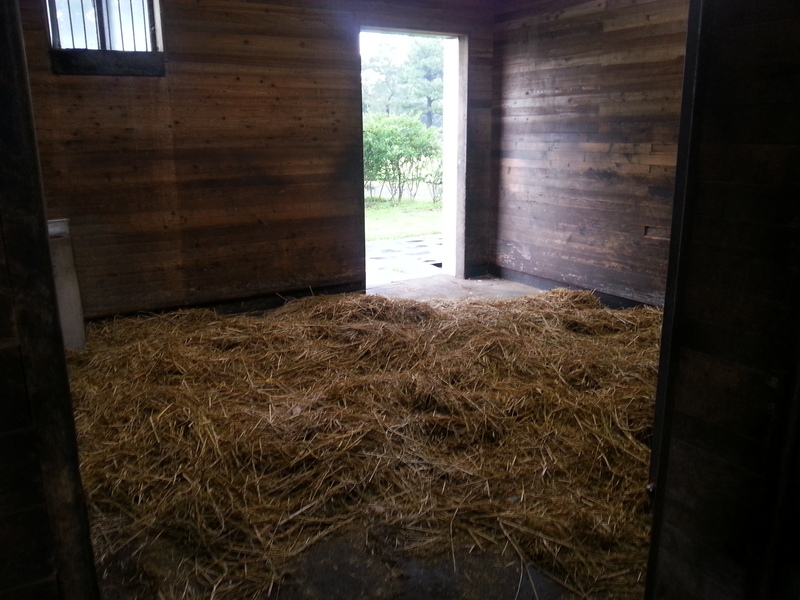 Facilities at some private farms such as Isidore and Pegasus are first rate. Others are developing. 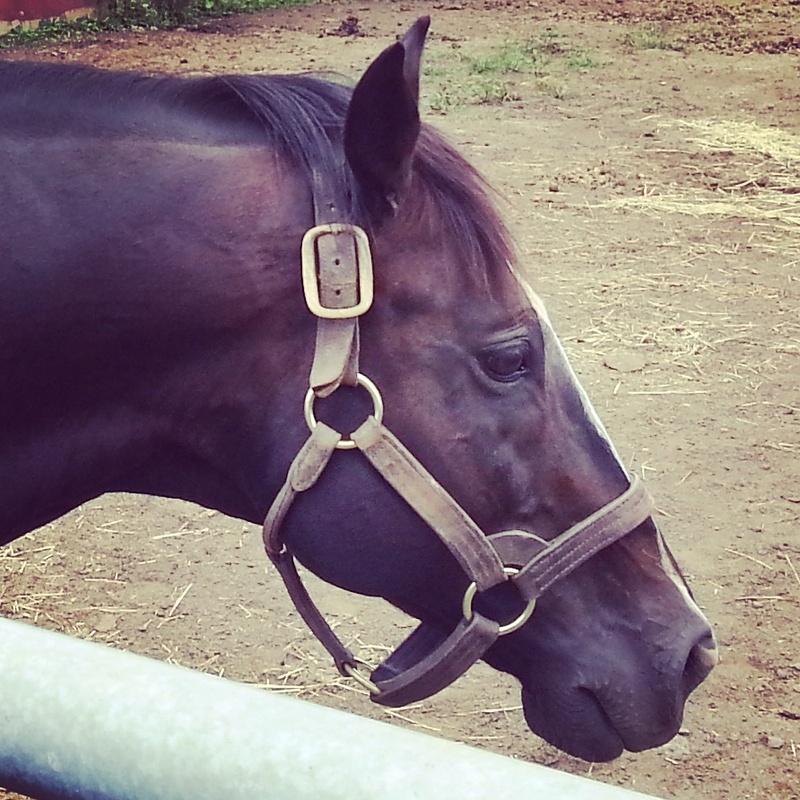 At Triple Crown Farm, we visit the resting place of Mister Park, who won 17 consecutive races, including the 2010 Grand Prix Stakes. Right next to him, mares and yearlings are in high spirits. The final stop on what is now a hungover tour of the island (“I love my job, but not today” says the cameraman after an introduction to Halla-San Soju in Seogwipo the previous evening) is Nokwon Farm. This farm received international attention a couple of years ago as the home of Worldly Pleasure, dam of American champion Game On Dude. Of course, once Game On Dude became successful, Worldly Pleasure was on a plane to Shadai but Nokwon remains one of Korea’s top private farms. Nokwon is owned by the former Chairman of the Seoul Racehorse Owners’ Association, Chi Dae Sub. Mr Chi is surprisingly in residence and in welcoming mood when we drop by uninvited last Tuesday. He was still smarting over Ham Wan Sik’s ride on his horse Forty Cure in the Selangor Turf Club Trophy last Saturday. Ham stood up in the irons and seemingly started celebrating despite being beaten a full length by Moon Se Young on Raon Morris on the line. “I wanted to kill him” was Mr Chi’s succinct post-mortem on the race. We tour the farm on the back of a souped-up golf buggy, driven by Mr Chi. Clinging on to the roof, it was better than an Everland roller-coaster. Nokwon stands several stallions, including the Japanese racehorse Testa Matta and the US import Eurosilver. The farm has developed a very efficient system for exercising yearlings and sees itself as a prototype for the development for Korean-run farms on Jeju. Chi Dae Sub has been one of the few supporters of the KRA’s internationalization program among Korean breeders (which is presumably why we were taken to his farm) who almost unanimously opposed the new rating system that ended separate class 1 and class 2 races for Korean and imported horses. “Bring them all on. Nobody thought that Koreans could make cars or televisions or mobile phones, but we did” he said “The KRA says we are 10 or 20 years away, I say we can do it in 5; Let’s race them”. Racehorses are not mobile phones but the likes of Isidore with Rock Band and Triple Nine this past weekend have shown that the quality is coming. 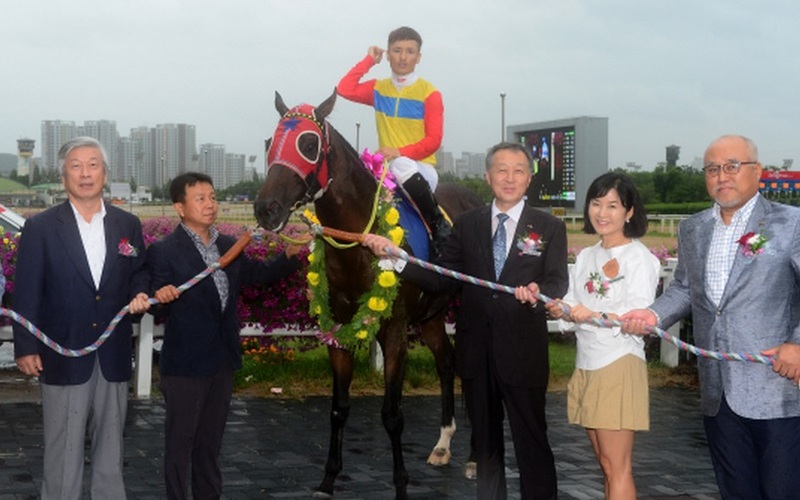 Choegang Schiller winning the Asia Challenge Cup, albeit not Korean-bred, demonstrates that Korean trained racehorses can compete at a good level. We have an awful long way to go. 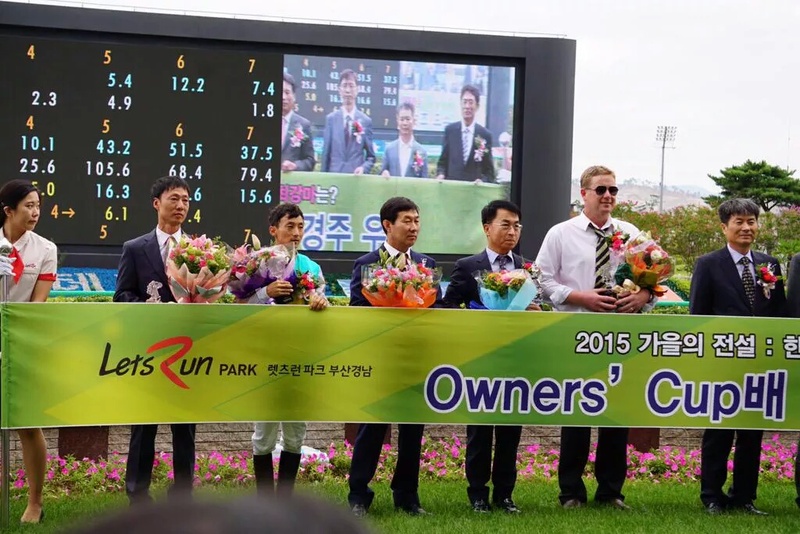 But from breeding shed to winning post, Korean racing is doing what it can to go in the right direction. 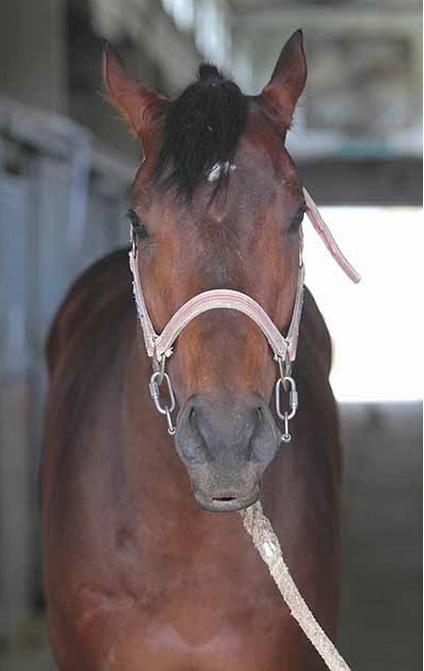 Watch out once Hansen’s progeny make it to the track. 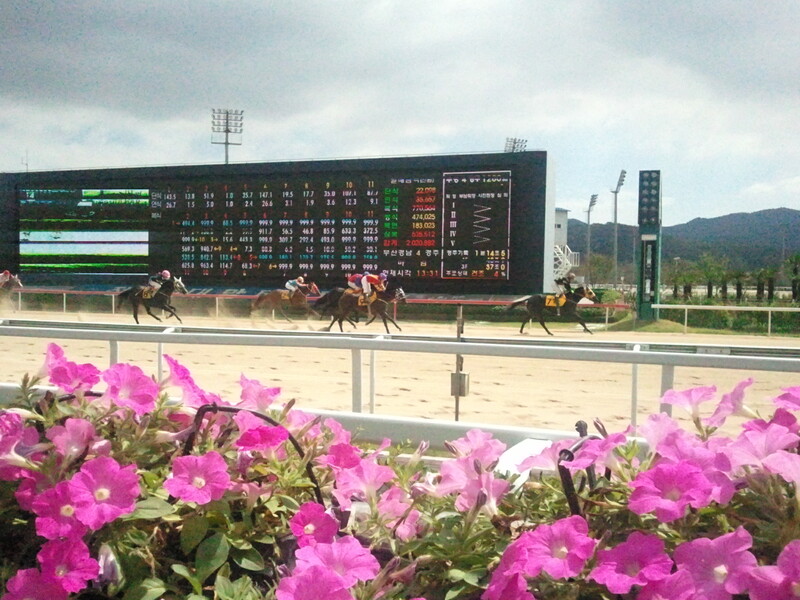 Follow all horses racing or breeding in Korea through the Korean StudBook. 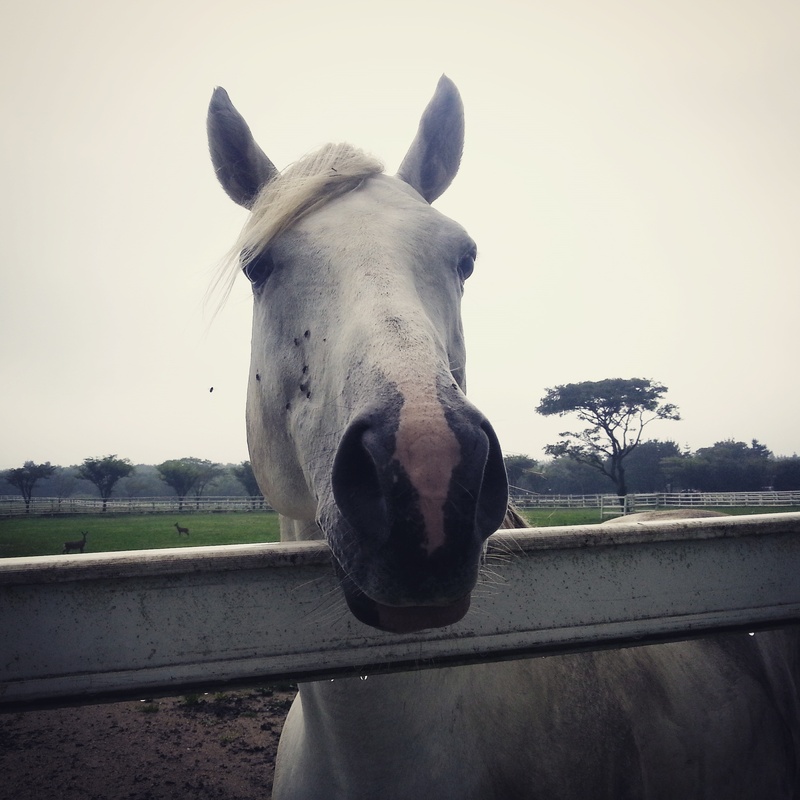 For anyone who finds themselves on Jeju Island, the KRA Stud Farm is happy to welcome visitors. In what turned out to be a repeat of the Minister’s Cup, Rock Band led home stablemate Triple Nine and Korean Derby winner Yeongcheon Ace to score a commanding victory in the Owners’ Cup at Busan on Sunday afternoon. 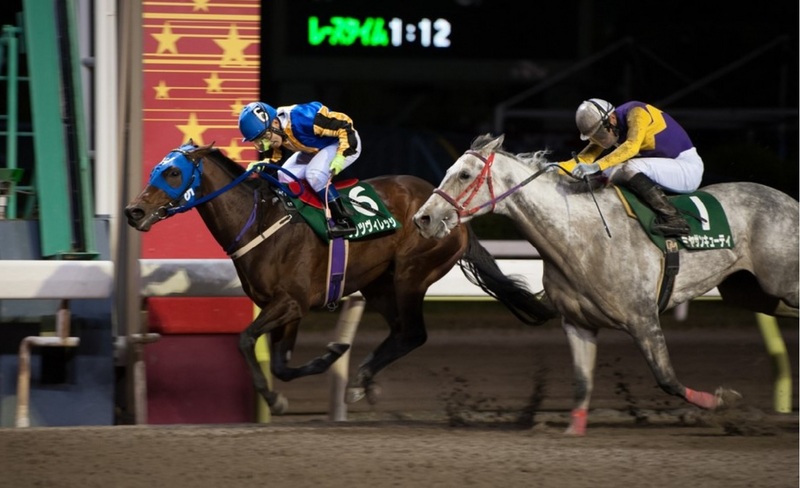 In the final leg of the Triple Crown at Seoul in July, Triple Nine had been sent off as the odds-on favourite with Rock Band fourth in the market. With Triple Nine, 2nd in the Derby and the Minister’s Cup, having finally got a Stakes race win in the Gyeongnam Do-Min Ilbo Cup in August, he was favourite again ahead of Success Story and with Rock Band third choice. Once more, Rock Band made a mockery of that. Success Story, showed the way early on but Rock Band was always very handy and took things up entering the home straight. From then on the result was never in doubt. Under jockey Kim Yong Geun, Rock Band ran on to win by just under two lengths with Triple Nine and Yeongcheon Ace chasing him home to complete an identical 1-2-3 to that in Seoul in July. It was Rock Band’s 6th win from 7 career starts, his only defeat coming when he got a dreadful trip in his first try around two-turns in June. A full-brother of Indie Band, the 2013 President’s Cup and Grand Prix Stakes winner, Rock Band didn’t race as a 2-year-old but now looks the pick of his crop. Hopefully, he will return to Seoul to attempt to emulate big brother in the President’s Cup later this autumn.